In order to keep pace with the never-ending demands of customers, we are involved in offering a wide range of Rubber Wooden Box. 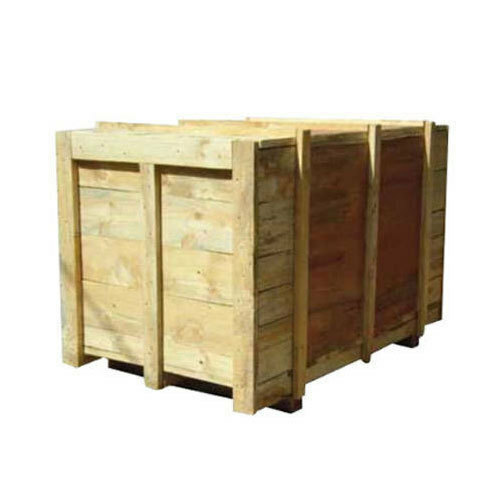 We “Mahesh Packings” are affianced in manufacturing a comprehensive array of Wooden Box, Wooden Crate, Plywood Box, Wooden Pallet and much more. Our product range is widely used for transporting goods from one place to another safely. Since our inception in 1989, we operate under the leadership of our mentor, “Mr. Mahesh Kanse”. His extremely sharp business acumen and vision have helped us to achieve the outstanding position in this sector. Located at Pune (Maharashtra, India), we have constructed an advanced infrastructural base that is armed with ultra-modern production technology. Our infrastructural base assists our production team to design and manufacture the complete array of products as per the global quality norms. Further, we have systematically divided our infrastructural base into various units such as procurement, designing, production, quality testing, sales & marketing, warehousing & packaging and transportation and logistics. All these units work in close-coordination to cater the diverse requirements of clients within the pre-defined time frame. we are also the service provider of Packing Service, etc.